While the weather on the east coast might not be the best for it , there will many fly over’s around the country and here is a list of where the action can be seen. 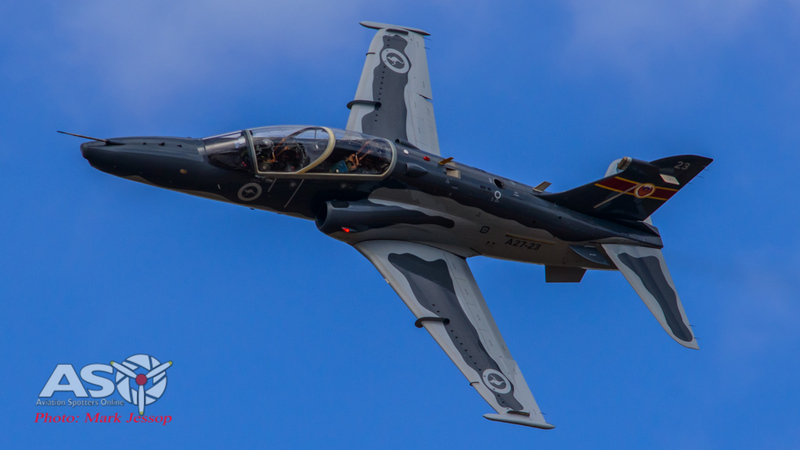 What: 76SQN Hawk 127 flypast for Australia Day Activities. Up to 3 x Hawk 127 aircraft from Number 76 Squadron at RAAF Base Williamtown will be conducting a flypast over Canberra on Australia Day. The jets will form a three ship arrowhead formation and will enter overhead Mt Stromlo before departing to track overhead Parliament House, Rond Terrace and the Australian War Memorial. The jets will perform a right turn over Mt Ainslie and track North and East of Canberra Airfield to Queanbeyan. The jets will then fly Northwest over the Canadian Flag Pole following Lake Burley Griffin. The flypast will be at low level and at speeds of up to 550 knots. The flypast will be conducted at approximately 10.20 am. What: F/A-18A Hornets flypast for Australia Day Activities. 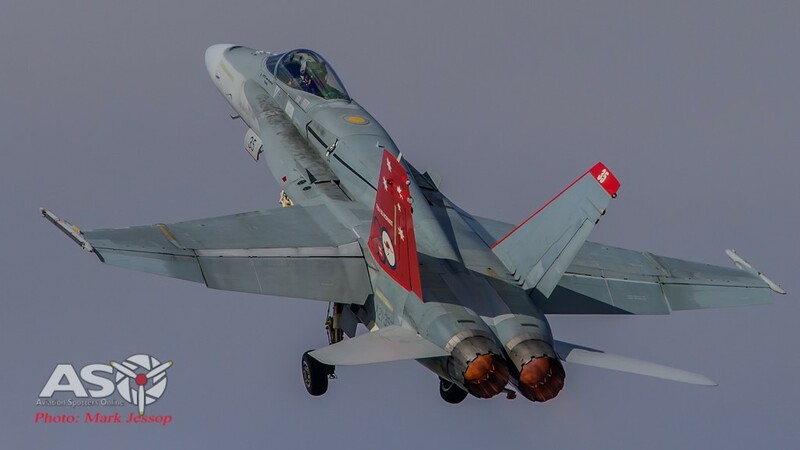 Up to 3 F/A-18A Hornet aircraft from Number 2 Operational Conversion Unit at RAAF Base Williamtown will be conducting a flypast over Sydney Harbour, Speers Point, Newcastle, Hawks Nest, Port Stephens and Raymond Terrace on Australia Day. The jets will take off from Williamtown and arrive over Sydney Harbour at approximately 12.00 pm where they will fly East to West and ‘bomb burst’ over the Harbour Bridge prior to one of the aircraft conducting a low level aerial display. The aircraft will then rejoin and fly coastal Northbound over Speers Point, Newcastle, Hawks Nest, Port Stephens and Raymond Terrace. The aircraft will fly at low level at speeds of up to 550 knots. What: Paul Bennet aerobatic displays for Australia Day Activities. Where: Speers Point, Lake Maquarie. 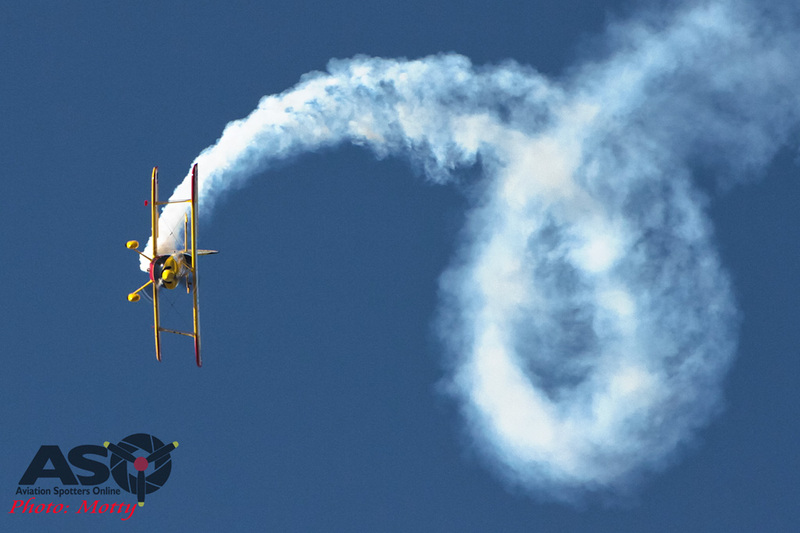 Australian aerobatic pilot, Paul Bennet, will be putting on a hectic schedule of appearances over Newcastle & Lake Maquarie with an amazing and dynamic display of high energy aerobatics in his Pitts Special. What: Russian Roolettes, Qantas & Red Berets displays for Australia Day Activities. The skies over the harbour will be a hive of activity with a squadron of Russian Roolettes at 12.30pm, followed by a Qantas flyover at 1.15pm and finishing with the Red Beret’s parachute display by the Australian Army at 2.00pm. Australia Day is an integral part of the Australian social calendar and each year Melbourne joins the nation in community activities in coming together to celebrate this iconic activity. The Royal Australian Air Force Roulettes will support this event, with a 10 minute formation aerobatic display at 12:30 pm 26th January 2016. The Roulettes are the Royal Australian Air Force’s aerobatic display team based at RAAF Base East Sale. 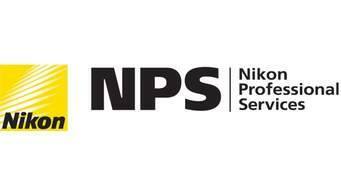 They will perform their special venue show display in six Pilatus PC-9A aircraft, a two-seat single-engine turboprop aircraft that is the advanced training aircraft of the Australian Defence Force. 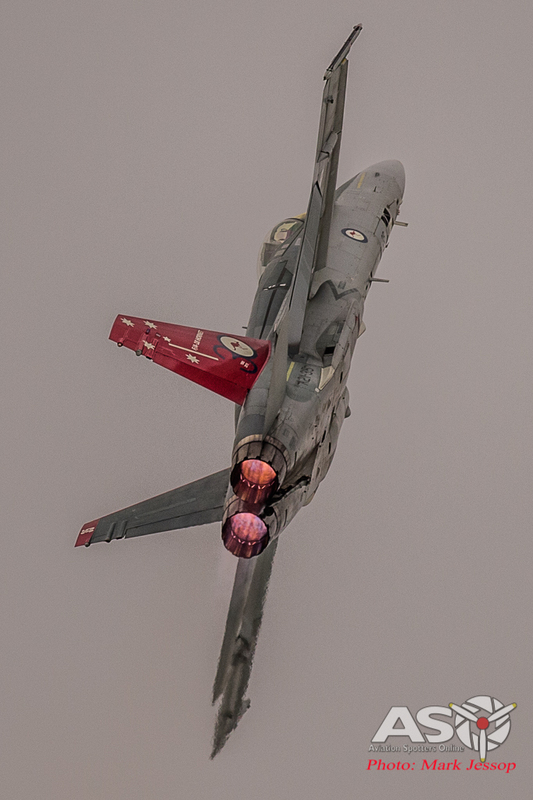 Throughout the display each pilot will maintain their aircraft only three metres from each other whilst conducting aerobatics and flypasts flown as low as 200 feet above the ground and at speeds up to 550km/h. The team comprises seven members, six of whom fly the display and Roulette Seven who provides commentary and will be available to answer questions on the Roulettes and their display. Geelong’s Festival of the Sails is the largest annual keelboat regatta in the Southern Hemisphere with over 3000 competitors. Held on the Geelong Waterfront the free community Waterfront Festival is a family friendly event with numerous activities on Australia Day 2016. The Royal Australian Air Force Roulettes will support this event, with a 10 minute formation aerobatic display at 1:00 pm 26th January 2016. The Order of Australia Association Victoria Branch was formally established on the 14th of February 1981 to unite Order of Australia recipients who are talented and hard-working Victorians to continue their philanthropic activities. It also supports the aim of the Order of Australia Association to “foster love of and pride in Australian citizenship”. Over the years, the Victoria Branch has steadily grown, both in terms of its membership and the scope of its activities. Thirteen regional groups have been established to take the Association’s message of national pride and civic responsibility to every corner of Victoria and on Australia Day the Association meets at the Shrine of Remembrance. The Royal Australian Air Force Museum, Point Cook, will support this event, with a flypast at 4:28 pm 26th January 2016. The RAAF Museum at Pt Cook has the largest collection of Australian military aviation memorabilia in the world and the largest collection of historic military aircraft in the Southern Hemisphere. The Museum will conduct a flypast consisting of one Winjeel, three CT4 and two Harvard aircraft led by Squadron Leader Glen Coy. 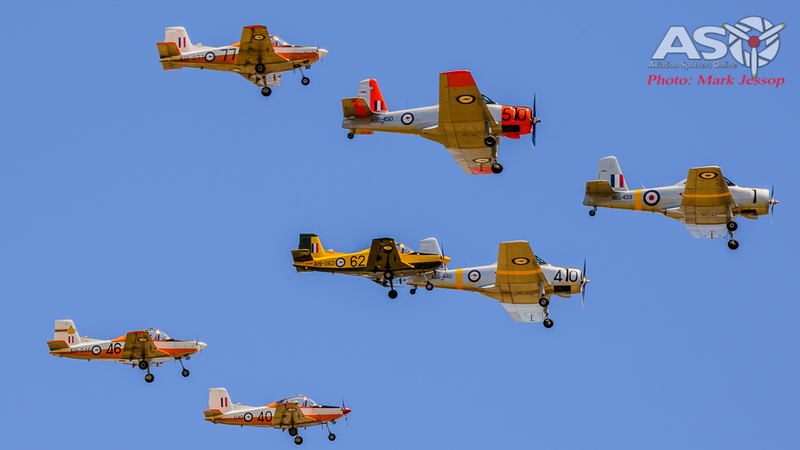 These aircraft are usually on display at the regular Interactive Flying Displays held by the Museum and can be seen up close, along with the fleet of more than 30 aircraft on static display at the Museum at Point Cook Road, Point Cook. Dandenong Australia Day – Festival in the Park is an annual festival held in Dandenong Park from 3:00pm. The Festival in the Park is a family friendly event with numerous activities on Australia Day 2016. The celebration is an iconic Australian event which runs until 9:30 pm. The Royal Australian Air Force Museum, Point Cook, will support this event, with a flypast at 4:00 pm 26th January 2016. What: C-17 Globemaster III flypast for Australia Day Activities. A RAAF C-17A Globemaster aircraft will conduct a flypast of Townsville as part of the city’s Australia Day ceremony on Tuesday, January 26. Flying from the North West, the aircraft will overfly the Australia Day celebrations at Jezzine Barracks at around 12:04 pm. The aircraft will be at an altitude of 100 metres during the flypast. 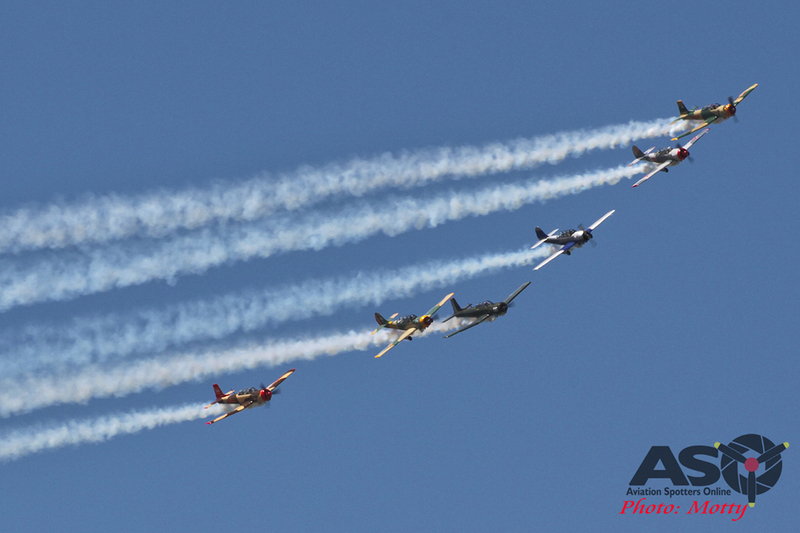 The pilots flying the aircraft conduct extensive training to ensure a high degree of skill is maintained. This sortie may be delayed or cancelled at short-notice, and is subject to variables such as weather, operational availability, and air traffic. Number 36 Squadron from RAAF Base Amberley operates eight C-17A aircraft. The C-17A is a heavy transport aircraft and allows Australia to rapidly deploy troops, supplies, combat vehicles, heavy equipment and helicopters anywhere in the world. The RAAF will conduct a number of flypasts around the country to assist in local communities celebrating Australia Day and appreciates the support it receives from Townsville residents during this activity. Number 36 Squadron has a close historical connection with the Townsville area. Formed at RAAF Base Laverton in February 1942, the squadron moved to RAAF Base Townsville in December that year, conducting air transport missions around Australia, New Guinea, and South East Asia until 1946. 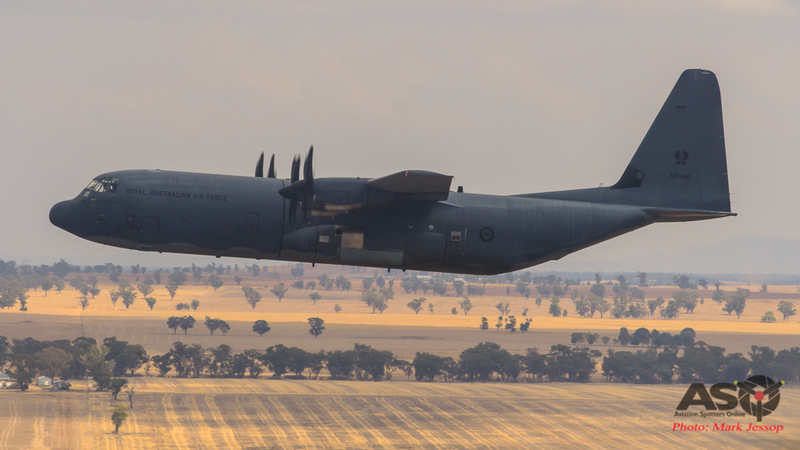 What: C-130J Hercules flypast for Australia Day Activities. An Air Force workhorse will appear at an Australia Day ceremony in Darwin on January 26. A C-130J Hercules transport aircraft will make two flypasts of Darwin War Memorial Cenotaph between 12pm and 12.15pm, coinciding with a 21-Gun Salute that will be taking place on the Esplanade. The aircraft will approach from the North East to the Southwest, flying over the CBD at an altitude of 150 metres. Following the first flypast, the Hercules will then turn over Port Darwin, and flyover from Southeast to Northwest at an altitude of 75 metres, paralleling the Esplanade. This activity is subject to variables including aircraft availability, air traffic control, and weather. It may be subject to delay or cancellation with short notice. Air Force operates a fleet of 12 C-130J Hercules from RAAF Base Richmond in Sydney’s North West, however the aircraft’s role as a medium tactical transport takes it all over Australia and around the globe. The C-130J was introduced to RAAF service in 1999 and is a common sight around Darwin, however older variants of the Hercules have been operated by the RAAF since 1958. For more than half a century, the RAAF has employed Hercules on humanitarian assistance and disaster relief operations, including the response to Cyclone Tracy in December 1974. The aircraft is also a key part of supporting Australian Defence Force personnel abroad, with a continuous deployment of Hercules having been operated from the Middle East Region since 2003. An Air Force workhorse will appear at an Australia Day ceremony in Katherine on January 26. A C-130J Hercules transport aircraft will make two flypasts of the Godinymayin Yijard Rivers Arts and Culture Centre on the Stuart Highway. The flypasts will occur between 11am-11.15am, coinciding with a Flag Raising and Citizenship Ceremony, along with an Australia Day Awards ceremony from Katherine Town Council. The aircraft will overfly the ceremony at an altitude of 75 metres for the first pass approaching from the East. It will then make another flypast of the ceremony, approaching from the south. This flypast is subject to variables including aircraft availability, air traffic control, and weather. It may be subject to delay or cancellation with short notice. The C-130J was introduced to RAAF service in 1999, however older variants of the Hercules have been operated by the RAAF since 1958. For more than half a century, the RAAF has employed Hercules on humanitarian assistance and disaster relief operations, including the response to Cyclone Tracy in December 1974 and the Katherine flood on Australia Day in 1998. 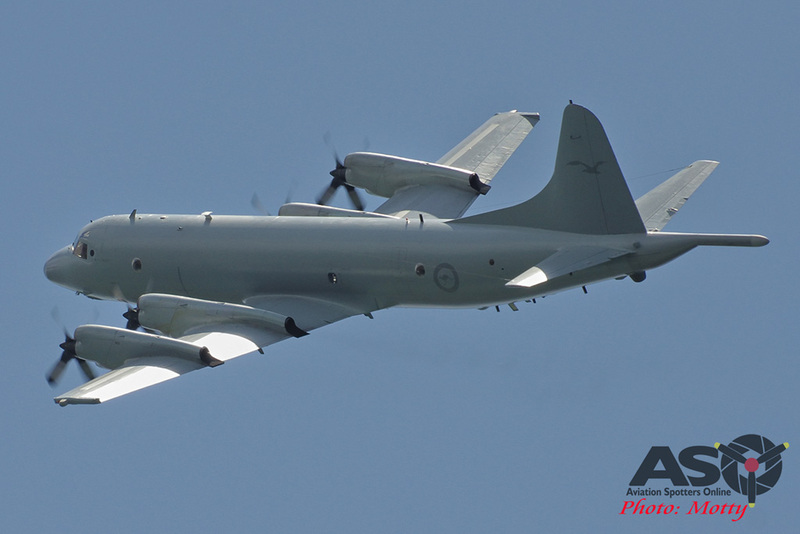 What: AP-3C Orion flypast for Australia Day Activities. All three services of the Australian Defence Force will be supporting Australia Day activities in Adelaide this year. The Australia Day Parade in the city commences at 6.00pm at Victoria Square and will be led by the South Australian Detachment of the Royal Australian Navy Band. The parade will march along King William Road to Elder Park, where a flag raising ceremony will be held. During the ceremony, a Royal Australian Air Force AP-3C Orion aircraft from Number 92 Wing at RAAF Base Edinburgh will provide a flypast over Elder Park at 7.23pm. The AP-3C Orion will fly from east to west toward the southern side of the Adelaide Oval. The Australian Army’s 10th/27th Battalion RSAR will then provide the Australia Day 21 Gun Salute for the commencement of the Australia Day in the City Concert at Elder Park. 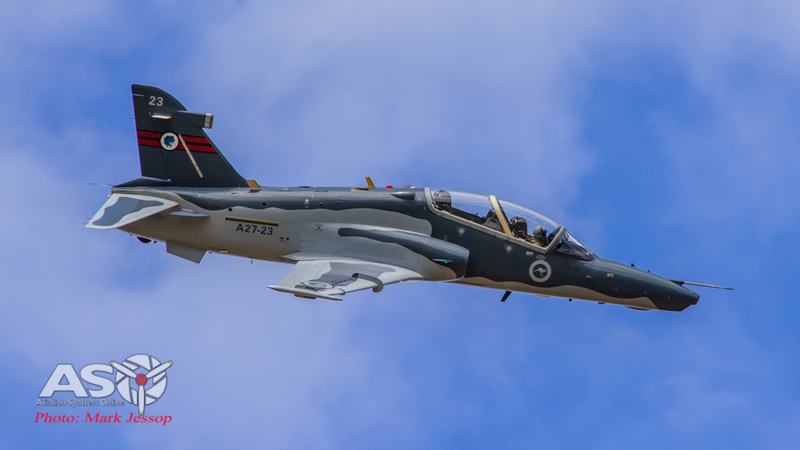 Up to 3 x Hawk 127 aircraft from Number 79 Squadron at RAAF Base Pearce will be conducting a flypast and low level aerial display over Perth on Australia Day. The jets will form a three ship arrowhead formation and fly West to East along the Swan River and will complete up to four passes linked by gentle ‘wingovers’. 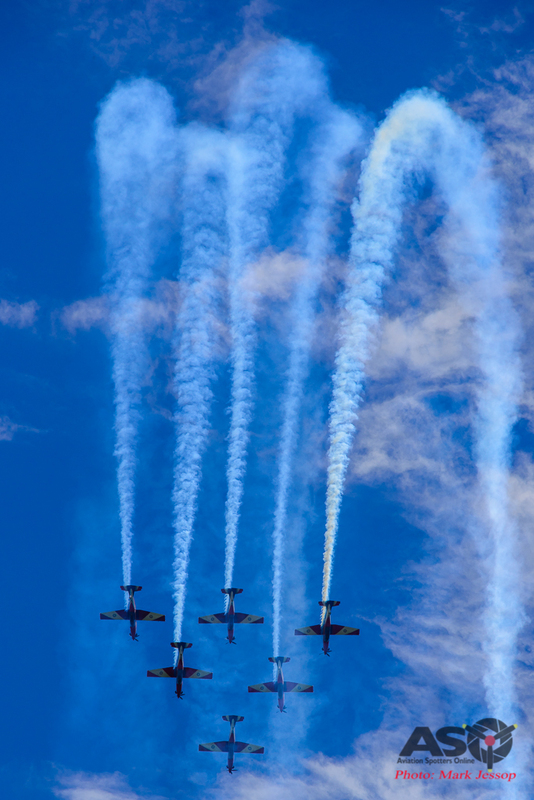 A single jet will detach from the formation to complete a low level aerial display over the water in the CBD area. The jets will fly at low level and at speeds of up to 450 knots. The display and flypast will be conducted at approximately 6.15 pm. Air Force appreciates the support it receives from the Australian community during this activity. Australia Day Flag Raising ceremonies, citizenship and awards ceremonies are an integral part of the Australian social calendar and each year the City of South Perth Skyworks joins the nation in community activities in coming together to celebrate this national day. The Royal Australian Air Force 2FTS of RAAF Pearce will support this event, with a four PC-9A aircraft flypast at 08:10 am 26 January 2016. 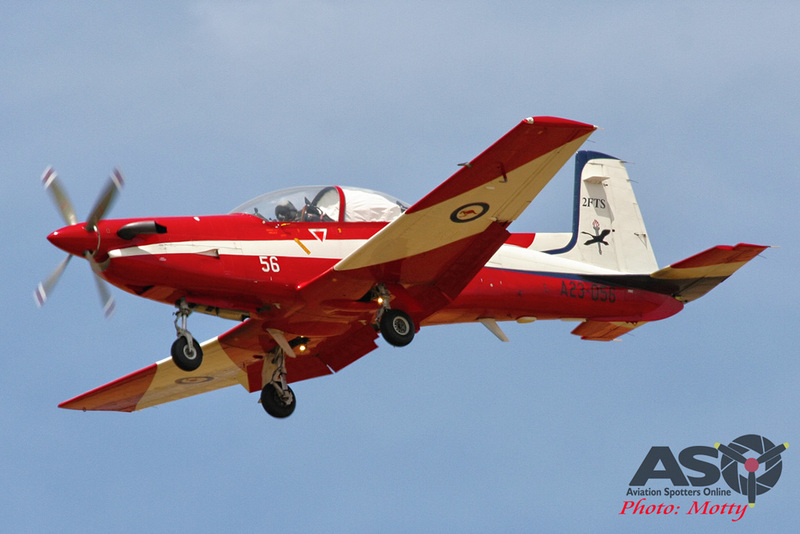 2FTS trains and graduate pilots in the Pilatus PC-9A to the highest possible standard to undertake operational conversion on selected ADF aircraft types. 2FTS develops Qualified Flying Instructors for future employment on ADF operational conversion units and operational flying squadrons.